Get ready for the cold winter ahead! 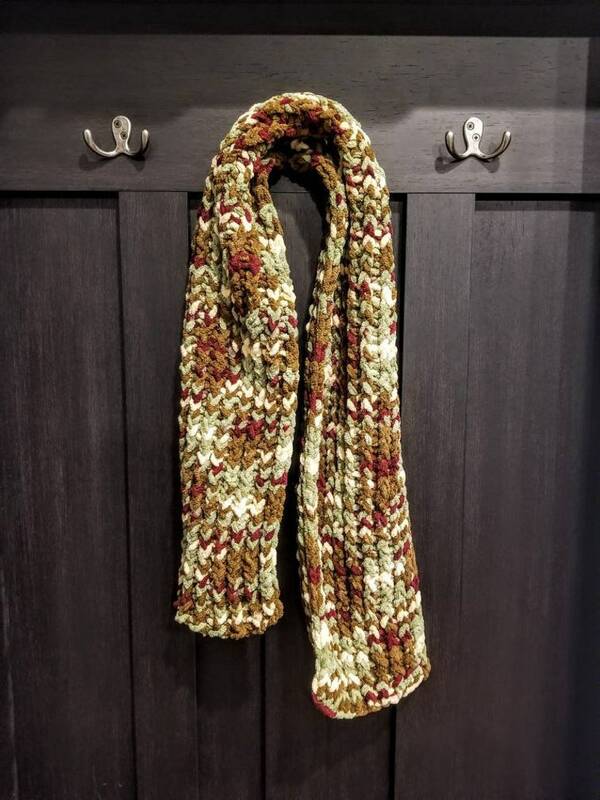 This super bulky knit scarf is sure to keep you warm on the coldest of days. Super soft to the touch, retains heat, and has beautiful rich colors which pictures can't do justice. The scarf measures 7.5" in width and 50" long. The yarn used has plenty of give and can be stretched and folded with ease. If you would like a longer scarf, please message us and we can work on something custom for you! Yarn is 100% polyester and is machine washable on delicate. Use a cool or cool/warm temperature only. No bleach. Tumble dry on low heat. Do not Iron or Dry Clean. All items come from a pet friendly, smoke free home. Pets are not allowed to touch or lay on items, but they are in the rooms in which items are made. This is a disclaimer in case you have an allergy or are sensitive to pet fur!